Last edited by Wryscelle on Feb 2nd, '13, 14:59, edited 1 time in total. Wryscelle wrote: They're match made in heaven. Ji Hoon must have felt really "hott" that time xD hahaha!!! I wonder how Eun Hye would react to see comments like these xD hahah!!! I like them in Goong.. but i prefer Eun hye and Gong Yoo in Coffee Prince..
Eun Hye is really good in coffee prince, she must be a natural talent she acts really boyish & really funny the way she consumed. As in Goong, she was good but with a actor so stiff like Joo Ji Hoon, it's difficult to show any good acting. Wryscelle wrote: Ok, so I'm addicted to Goong aka Princess Hours and I'm sue many of us here want to see 'em together ayt? I mean, in real life... For heaven's sake! They're match made in heaven. 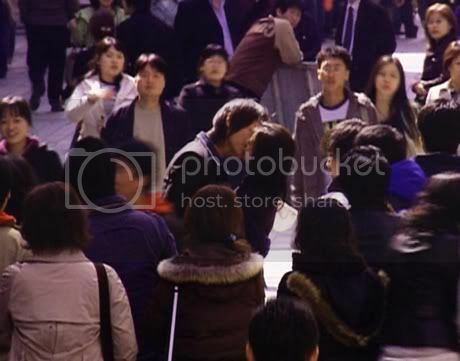 Remember that kissing scence in the street? OMG! how did u get diz picts? in d drama, the scene seems to be taken from far,rite? n u even managed to capture JJH's hand? Question...... is that picture from Drama or real life ??? From the drama. One of the last few eps of Goong.